One of the fastest growing forms of mobile advertising is in-app advertising. A few years ago, Google, Facebook, and Twitter dominated the mobile app space, but nowadays the marketplace is different, there is an app for almost everything and mobile users are not left out as they make the best use of these applications. Most mobile users have shifted from using their mobile browsers to sort out their mobile needs, they now mostly make use of apps. Mary Meeker‘s recent Internet Trends Report shows that smartphone users spend 89% of their time on mobile apps and the remaining 11% on the mobile Web. Recent reports from Flurry Analytics also state that mobile app users spend an average of 5 hours on their smartphones daily. Who wouldn’t want to take advantage of that? For instance, Facebook reported an increase of 41% of their total revenue within 12 months of mobile advertising via a mobile application. This was largely due to a rise in mobile ad formats. To benefit from the mobile app market space, it is important that you incorporate in-app advertising as part of your digital marketing plans. Newzoo, a market research firm has projected a 34% increase in the revenue over the next few years in the mobile app store; from $92.1 billion in 2018 to $123.7 billion by the year 2020. The number of mobile users will also increase from 3 billion in 2018 to 3.5 billion by 2020. Obviously, ads are proven and effective avenues to generate revenue from applications. Admost is a mobile monetization company that specializes in mobile ad mediation and revenue analytics. If you need to maximize revenue from your mobile ads inventory, then ad mediation is your best bet. Admost will help you generate a reliable revenue stream. Why is Admost different and unique? 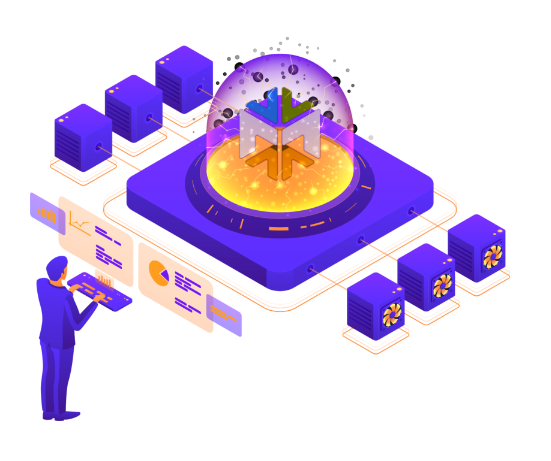 Admost, as an unbiased and publisher-friendly mediation, works just as a router to serve best yielding ad networks within its personal waterfall algorithm. Admost personal waterfall is generated at each ad request due to the quality of the user. Each user has evaluated in itself, substituted from country-based optimization. Also, Admost’s own impression count provides a fair competition among ad networks. Plus, Admost Analytics allows real-time analysis of users’ LTV and ARPU metrics – that is generated on the back of each and every user’s in-app purchase & ad revenue data. Well placed and targeted ads should be visible enough to attract click-throughs but must not be intrusive. Ensure that your ad’s format is in sync with your app’s content – videos, banners, and native ads. Don’t neglect to match apps with the native ads feature, ads with the use and feel of your app will most likely offer users a richer and seamless app experience. Use the target features so that you can easily target users and your app. You can consider running house ads. This is to promote your app or friend’s app. And make sure you are analyzing the performance of your app, find out where your app is downloaded from, the most used feature and many more. The essence of a mediation platform is to allow easy integration and multiple ad network management for your mobile app. It could be painful to work with numerous ad networks, but it is crucial as the number of available impressions and users continues to increase. This is because an ad network which yields a good eCPM with about 1000 impressions daily will likely not yield the same results at 1MM impressions daily. Therefore, multiple ad network integration, researching and testing new ones help you with finding the best source of buyers. Always remember that all publishers are different, so are the users of their apps. As growth continues to take place, you will find from your analytics that users from around the globe pouring in – in their numbers. Ad networks, exchanges included, usually have areas where their strengths lie; while some thrive on specific operating systems, others thrive in a particular country or probably just some connection speeds – 3G, 4G or WiFi. Sounds scary right? Well, relax! With mediation, these won’t occur. While choosing your mediation platform, make sure it includes targeting controls to allocate app inventory to specific ad networks. This could be based on GEO, connection, carrier, device/OS and other possible targeting parameters. The platform simply handles the necessary logic for targeting via the ad server and SDK. SDKs can be tiring, ad networks and exchangers want their SDKs to be implemented, but the cost of integration and switching is high. As more and more SDKs get integrated into the app, developers have to factor in bloat, size, QA and integration issues, the cost of switching, updates for each SDK and the value of the SDK. More so, having multiple integrated SDKs will cause you to coordinate updates for each of them with updates of your app, releasing the new update to the app store and getting users to update the recently uploaded version. Simply put, switching SDKs can be very tiresome – as it means you making changes to your application, rebuilding your application, having to go through the QA process, uploading to the app store and getting users to update their apps to the recent version. Whereas, an API connection, a partner can be paused in a few minutes. Partnerships are very important relationships in business, in that case, always ensure that you push for transparency in your partnerships. If publishers aim to target the right audience and make profitable business decisions, they must understand the full picture via data accumulation. The same mistake has been made over and over again? How relevant are your ads to your target audience? How does the ad benefit your audience? Putting up just any ad without proper research is the exact recipe for an advertising failure. Ensure that the ads you place are of relevance to your audience. When ads are irrelevant to your audience, they are likely to perform poorly. Therefore, your content should determine the kind of ads for your user base. For specific content, gaming apps are most successful with rewarded videos and offerwalls. These provide incentives for users so they can click and watch the ad, such as hints, extra lives or a free pass to the next level, or basically a reward store. Since rewarded videos are not only engaging but also entertaining content, their engagement rate has been successful with about 80%..
How do you know what works for your audience? How do you determine factors that do not meet their expectations? You can only do this by testing. Testing, they say, makes perfect. Find out which methods are working using mediation platforms, and while doing this, have an open mind to possibilities, as it helps you better understand your audience and in turn leads to customer satisfaction and steady revenue stream for a long time. The complexity of the dashboard – Can it be easily interpreted? Can everything be seen at a glance? These are questions you might want to answer before going into any partnership. How is the ad server? Do they have downtime? If they do, how soon do they get it back up? Keep in mind that answering these mentioned questions honestly will help you make the right decisions. So many fish in the sea, but why should you choose Admost? Because Admost started just like you, as a publisher trying to find an appropriate solution to increase mobile app revenue. It is the result of endless attempts in order to reach a certain point of a mediation system which is dynamic and publisher friendly. Because Admost does not have ANY organic relation with ANY advertiser or ANY network – so you can be sure you will have access to the right information and get a service that will honestly improve your revenue. Admost’s personal waterfall algorithm provides a point shot optimization that is generated each ad request due to the user’s behavior. Because Admost counts impression and eCPM values independently, which provides the publisher with a more accurate view of their application. Since Admost has no organic linkage to ad networks, it distributes the traffic to all networks chosen in an equal way. This helps the publisher in increasing their revenue because no ad network would be privileged. Admost does not only offer mediation solutions, but it also offers an analytics tool which can help you analyze LTV and ARPU on ad revenues and in-app purchases together with real data, with the retention data correlated. With other tools, you would only have access to estimated data, but with Admost Analytics, you can have a better understanding of your app thank real data. In addition to all that, our team will be in your assistance 24/7; meaning you wouldn’t have to wait for hours or run after tickets to get help.